When the president fulfilled one of his campaign promises and pulled out of the 2015 agreement that addresses climate change, he left the U.S. in the company of Syria and Nicaragua as the only countries in the world to not participate. His comment about Pittsburgh in the speech revealed outdated and incorrect assumptions about clean energy and the city. For the last several decades, Pittsburgh has drastically improved its air quality, built its economy on technology, renewable energy, and healthcare, and put in work to mitigate the effects of climate change. The main issue Pittsburgh leaders and residents have with Trump’s statement is that it’s misleading and inaccurate. Pittsburgh voted overwhelmingly — 80 percent — for Hillary Clinton in the 2016 election. Allegheny County, where Pittsburgh resides, voted 56 percent for Clinton — which was even higher of a percentage than former President Barack Obama won in 2012. In the days since the speech, Court Gould, executive director of Sustainable Pittsburgh, an organization that serves as a business network for sustainability professionals, has spent almost every waking hour talking about this issue to business leaders, elected officials, and other city residents. Trump’s words only motivate them more. “Perhaps in an ironic way we can thank the president for his ill-advised retreat, which is only going to grow our resolve,” Gould said. A century ago, iron and steel mills in Pittsburgh consumed massive amounts of coal. For decades, thick smoke from the steel and coal industries blanketed the city. People died prematurely from the pollution; at its worst, in 1948, a toxic yellow smog killed 20 people and injured others in Donora, 25 miles south of the city. That eventually led to clean air laws and other environmental regulations, and the city started to clean up its image. “Pittsburgh learned from its past,” Gould said. Today, Pittsburgh still has some of the unhealthiest air quality in the country compared to other metropolitan areas. The most recent American Lung Association report ranks the region eighth worst in the nation for annual soot pollution and 14th worst for daily soot pollution. But it has made strides since then to shake off that image. “It is a remarkable Cinderella story on grappling with what it takes to begin to move to a cleaner, more just and renewable energy and business-friendly future,” he said. Now, the largest employer is the University of Pittsburgh Medical Center. The other university in town, Carnegie Mellon, is well-known for its robotics laboratory. Healthcare and technology are the two largest and fastest-growing sectors, and the city has invested heavily in it. “We are at advent of a lot of smart tech and smart city tech using sensors and AI and robotics,” Ervin said. 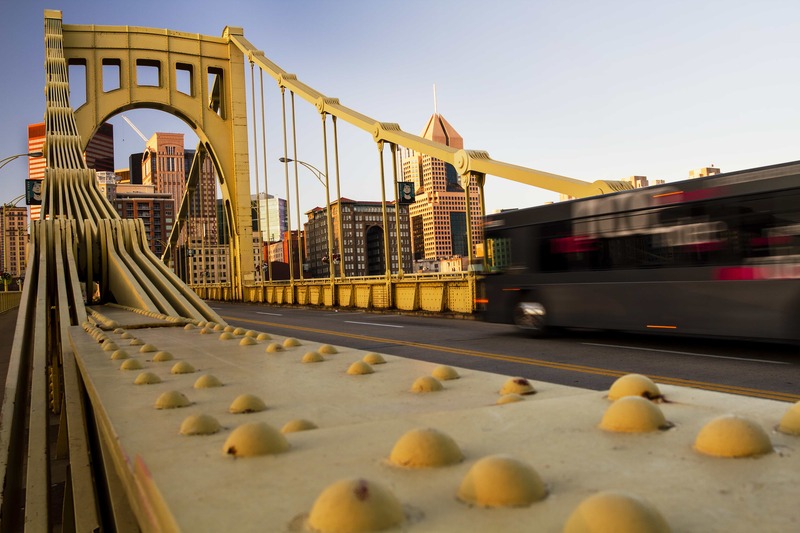 Recently, Pittsburgh was a finalist in the Department of Transportation’s Smart City Challenge. Pittsburgh has also invested heavily in clean energy. According to the mayor’s office, 13,000 people work in the renewable energy industry in Pittsburgh, and 66,000 do so throughout Pennsylvania. As of this year, the city has a partnership with the Department of Energy to develop microgrids and research more localized energy generation. Green space and cleaner air have been integral to the city’s growth, too. In the early 2000s, residents fought back against development of a casino and proposed strip mine in southeast Pittsburgh, and instead, Hays Woods, a 600-acre urban forest, is on its way to becoming a massive public park. More broadly, Pittsburgh city leaders didn’t appreciate what Trump implied about the Appalachian region as a whole: that it can’t move past its coal mining image. Pittsburgh was dubbed the “Paris of Appalachia,” because it is the largest and arguably most developed city in the region. But as a state, Pennsylvania has the most acreage of any state in Appalachia. About three-quarters of it is within the reaches of the federal Appalachian Regional Commission, a government-funded economic development engine for the region. In his budget proposal, Trump eliminated funds for this commission. After Trump’s announcement, 187 U.S. mayors, including Peduto, signed an agreement to intensify efforts to meet cities’ climate goals, build a clean energy economy, and “push for new action to meet the 1.5 degrees Celsius target” in the Paris agreement. In addition, dozens of cities and businesses vowed to do the same thing. Three major politicians — Michael Bloomberg, former New York City mayor, Andrew Cuomo, Democratic governor of New York, and Jerry Brown, Democratic governor of California — formed a climate alliance with the goal to negotiate carbon emissions reduction goals with other countries in the United Nations despite Trump’s decision. Despite all this pushback on his comment, the Trump campaign doubled down on it, holding a “Pittsburgh, not Paris” rally near the White House on Saturday, June 3. The Fairfax County Republican Committee and the Republican Party of Virginia sponsored the rally to celebrate the United States’ withdrawal from a global climate agreement. A few hundred people attended, but the president was golfing at Trump National Golf Club in Virginia. The day before that protest, Peduto issued another statement, this one an executive order to continue aggressively addressing climate change, laying out more specific goals to achieve by 2030 when it comes to renewable energy generation, electric vehicles, and carbon neutrality. Lyndsey Gilpin (@lyndseygilpin) is a journalist based in Louisville, Kentucky. She is the editor of Southerly, a newsletter covering the American South.